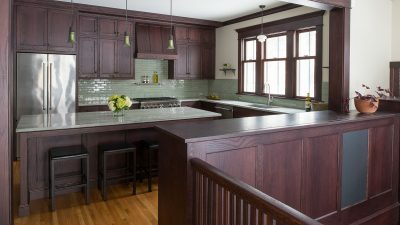 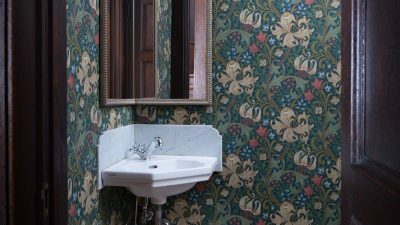 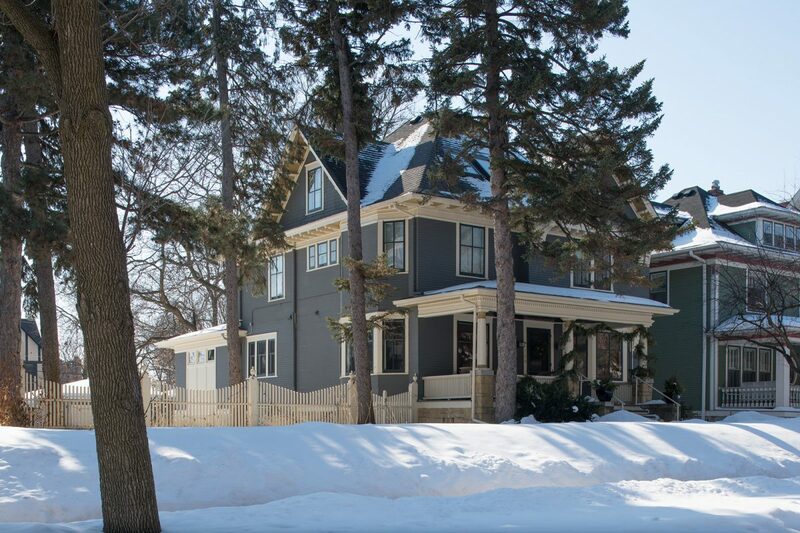 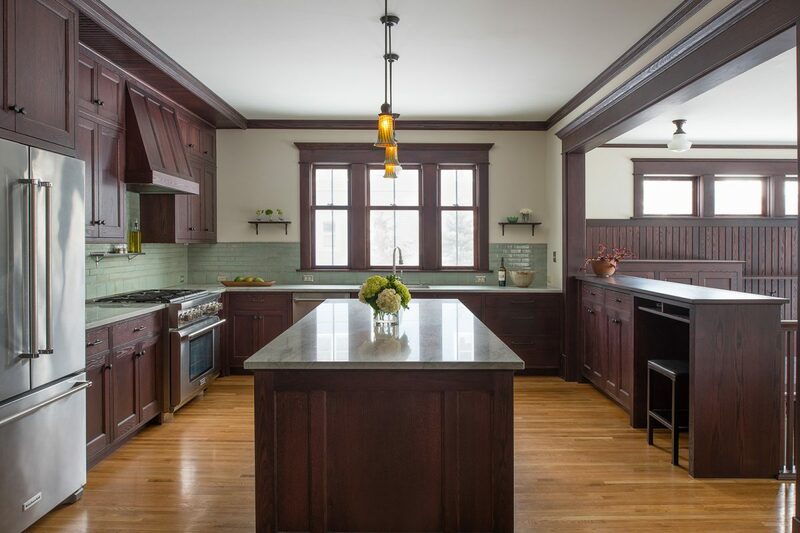 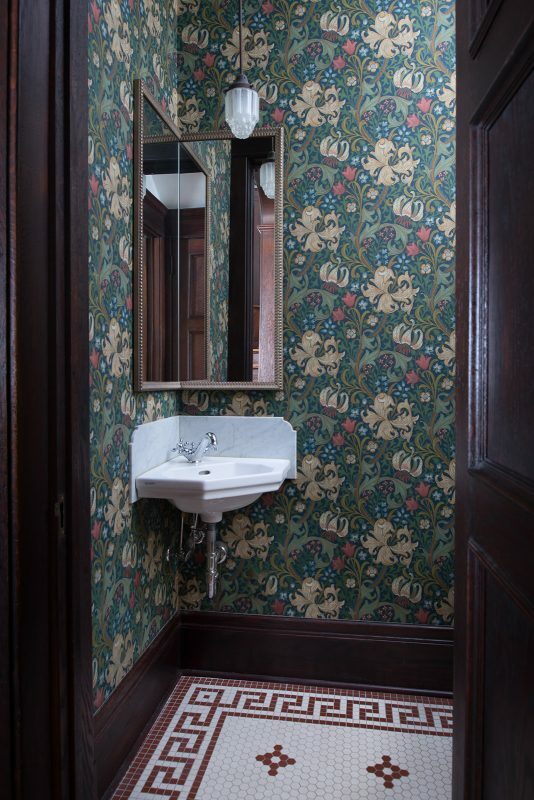 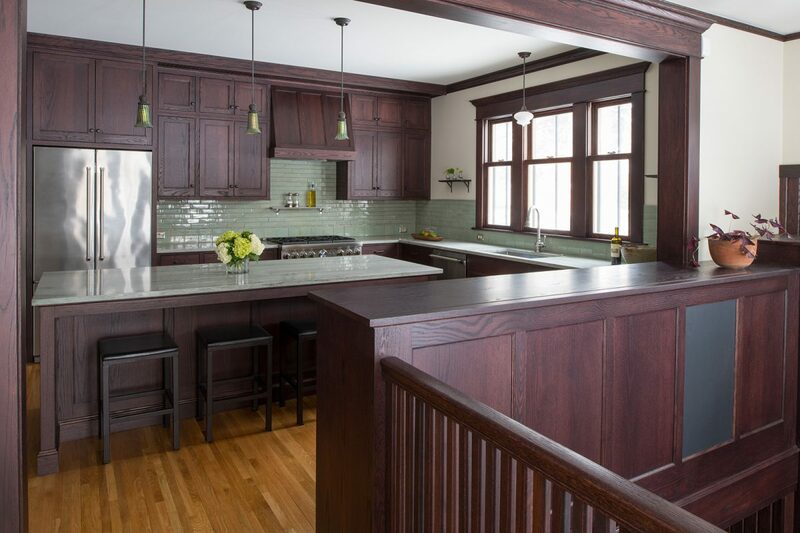 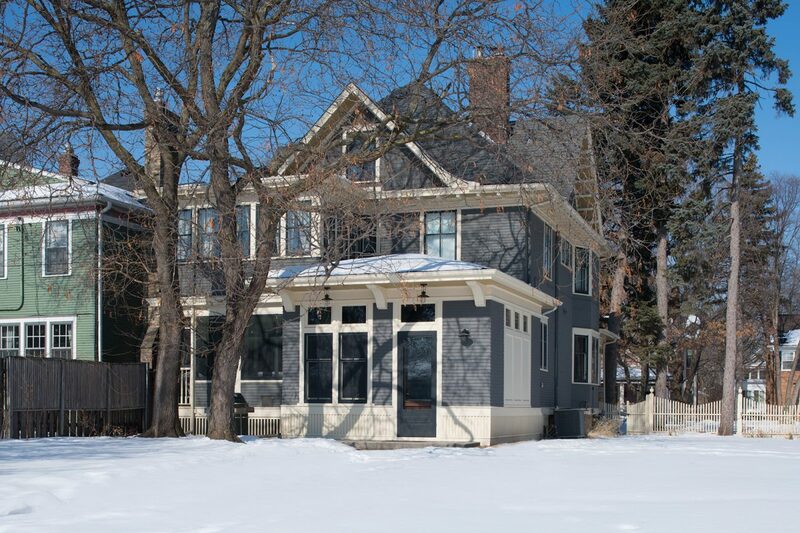 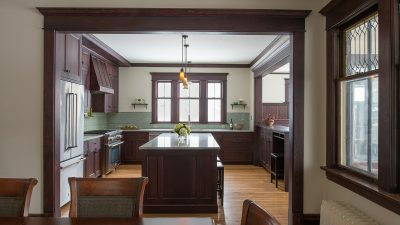 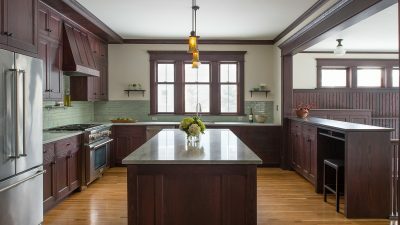 Situated within St. Paul’s Historic Hill District Area, this home’s formal front half still possessed original 1907 millwork and character; but the kitchen, updated in the 1980s, felt out of place. 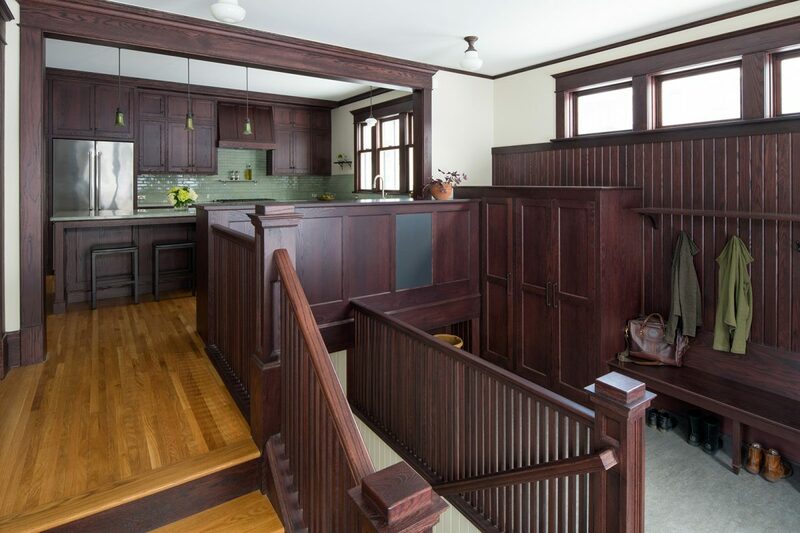 The renovation removed a steep second stair, opening the kitchen to the dining room. 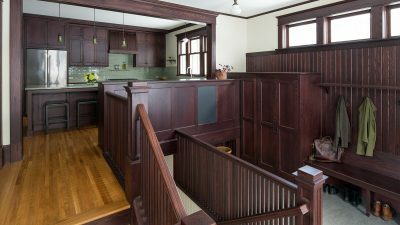 The new mudroom shares light with the kitchen, includes plenty of storage and has easy access to the basement for play gear. 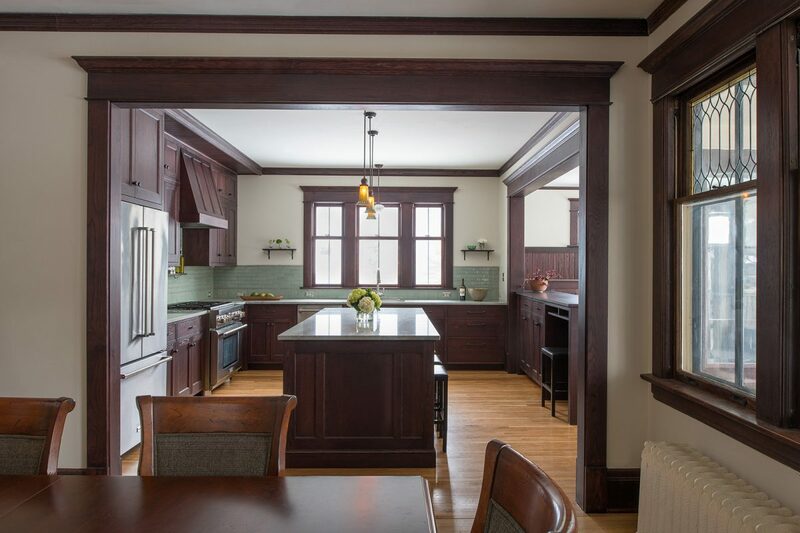 It was important to respect the back as much as the front façade of the house; the corner of the addition intentionally bumps out to allow the new to be distinguished from the old. 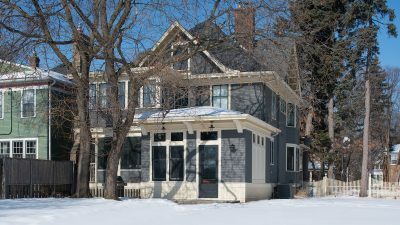 The addition’s low pitched hip roof takes its cues from the front porch, and the window and beam trim match existing details. 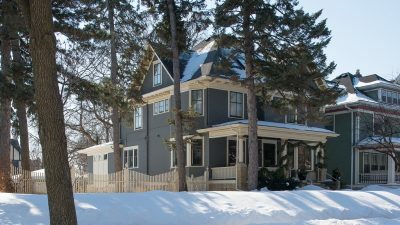 Its brackets are a variation on those supporting a bay window on the front façade.